Concert Pianist – Chopin, Beethoven, Rachmaninoff, Ligeti, Ravel etc. 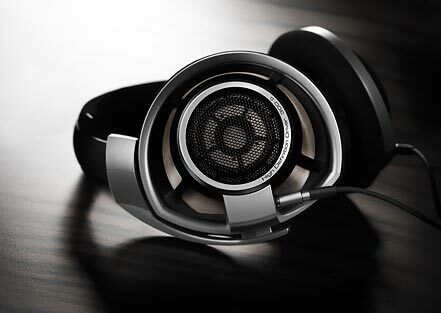 I recently had the fortune to lay my hands on the latest Sennheiser headphone – the Sennheiser HD800. At £999 they don’t come cheap, but I have to say these are by far the best headphones I’ve ever ecountered. I’ve always been a fan of Sennheiser. A few years ago I bought the Sennheiser HD250 headphones for around £250 and I thought those were great. The sound is crisp, very well balanced, uncluttered, and ‘honest’. These served me well for many years. I even supervised the editing of my recent Chopin Scherzi recording with these headphones. So this an outlet to share my thoughts on the piano world, music in general, performance, and some technology thrown in. I started two things aged 10 – playing the piano and coding. Funny how maths/computers seem to go with music. It’s rather common. Piano performing has been a fantastic journey for me, and i’ve loved every minute of it (although i have to admit the practising could become rather a bind at times!). The past few years I’ve been involved with internet search marketing, and also open source software – specifically Turbocash accounting. I’ve tried to make this site as high tech as possible. My recent recording of the Chopin scherzos is available for download – the full 92khz/24bit version, which by the way, sounds way better than a CD. In the future, i’ll be adding some HD videos as well, although that might be a while yet! In the end, music is all about enjoyment and listening. And that’s what this site is all about – on every page, you can listen to any of my tracks at the touch of a button. Enjoy!